Zeepark Haerendycke in Wenduine - the best offers! 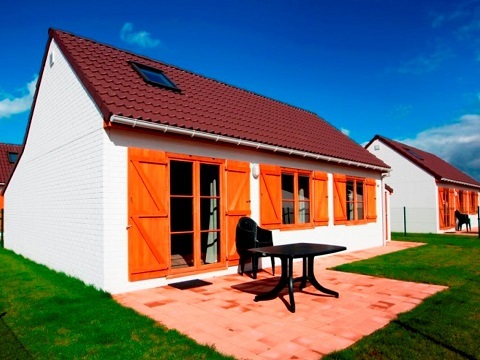 This price applies to 4-person cottage Duinenhuis, with the arrival as 3 May 2019, 3 Nights. 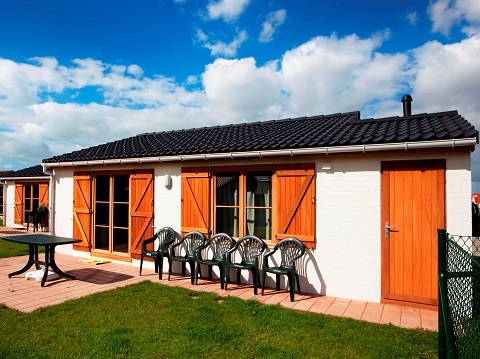 This price applies to 6-person cottage Visserhuis, with the arrival as 26 April 2019, 3 Nights. In case of cancellation from 23:00 hour 30 days before arrival 50% of the booking will be charged. In case of cancellation from 23:00 hour 29 days before arrival 75% of the booking will be charged. In case of cancellation from 23:00 hour 14 days before arrival the complete amount of the booking will be charged. Pets are always on request. Please make your request clear when booking, and the park will take it into consideration for you. Zeepark Haerendycke lies on the beautiful Belgian coast in the small village of Wenduine. Discover the wide sandy beach with its pristine sand dunes and enjoy the salty sea breeze. You can also visit the friendly towns of Blankenberge or De Haan. Zeepark Haerendycke is a small holiday park offering plenty of entertainment for all ages. During your stay, you can have fun in the subtropical swimming paradise in Wnduine, or tee off at the 18-hole golf course. A game of squash, mini golf or tennis is also possible. A day or two spent at the wonderful Belgian coast, where you can enjoy surfing, fishing or horseback riding, is highly recommended. Children will have a wonderful time at the nearby subtropical swimming paradise. They can also participate in a round of miniature golf or enjoy themselves on the football field. Zeepark Haerendycke does not have its own restaurant, but in the centre of Wenduine, you have plenty of cosy restaurants to choose from. Wenduine is an elegant seaside town with typical houses in Belle Epoque style. In the cente, you will find plenty of leisure activities. For example, take a horse ride through the dunes or spend an afternoon fishing. During your stay, a visit to the nearby Blankenerge is highly recommended. Stroll through the marina and sample the local specialties on the beach. Sea Life is also well worth visiting. This is the largest aquarium in the North Sea! A day trip to the medieval city of Bruges will not leave you disappointed. This park requires a deposit of €200 per accommodation. Energy costs are calculated according to consumption and paid locally. Between 1 July and 1 September they are including in the booking price. You can book on the day of arrival until 12:00pm. In case of late arrival (after 17:00pm), please contact the holiday park by phone.